Saturday M allocation withdrawn in favour of RTL allocation at R.
M & R weekend allocations withdrawn in favour of weekend AB. Withdrawn between Richmond & Hammersmith - replaced by 71 service to Hammersmith. Sunday withdrawn between Hanworth & .Twickenham Station. Sunday AB allocation withdrawn. Sunday re-introduced between Hanworth & Twickenham Station. Sunday AB allocation re-introduced. Withdrawn between Hounslow and Heston via Vicarage Farm Road - and diverted instead via Cranford Lane and Harlington Corner to London Airport Central. 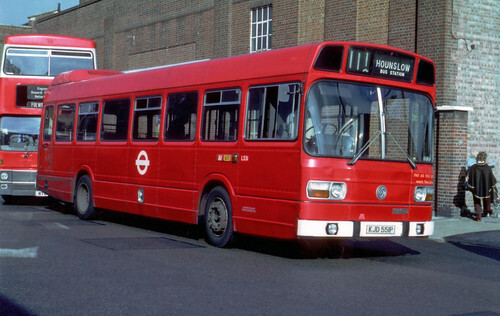 Withdrawn section covered by New 232. Mon-Fri withdrawn between Cranford & London Airport Central except for peak hours. Saturday withdrawn between Cranford & London Airport Central. Withdrawn Saturday evenings between Hanworth & Richmond. Saturday afternoon journeys to Richmond cut back to Twickenham Station. Cranford shorts extended from the 'Queens Head' to 'Berkley Arms' . Withdrawn between Cranford & London Airport. 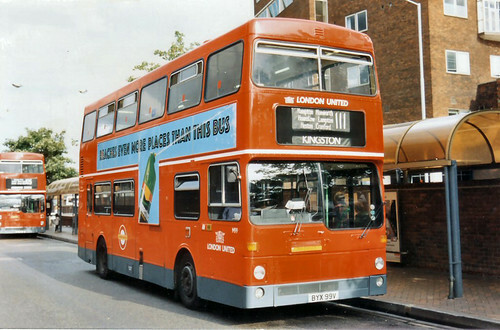 Withdrawn between Hounslow & Cranford except Mon-Fri peaks. 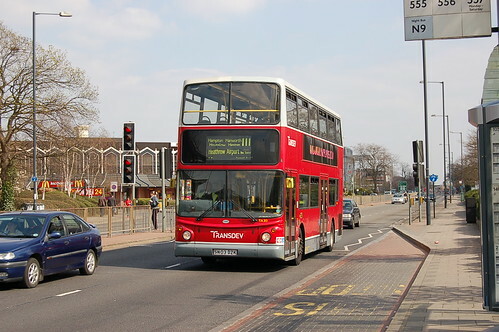 (replaced by extending 110 from Hounslow to Cranford). Mon-Fri daytime extended from Hanworth to Hampton and further extended Saturday shopping hours to Kingston. Withdrawn between Hounslow and Cranford Mon-Fri evenings. Re-introduced Mon-Fri between Hanworth and Hampton to replace withdrawn Mon-Fri 211. 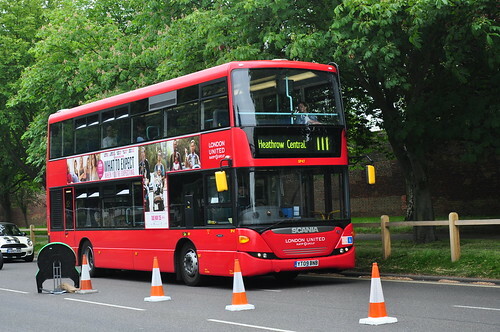 Saturday shopping hours extended from Hanworth to Kingston to replace withdrawn 211. Daily extended at all times from Hanworth to Hampton. 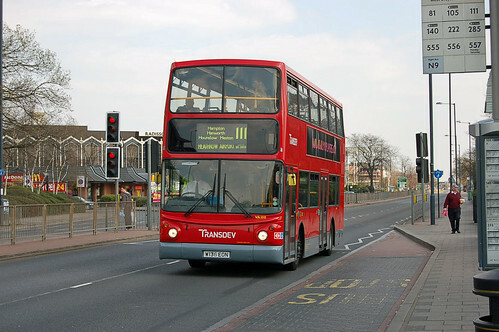 Saturday early am and evenings extended from Hounslow to Cranford. SMS type replaced by LS. 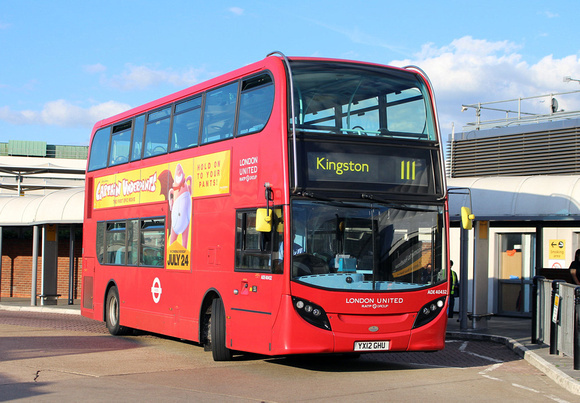 Daily extended at all times from Hampton to Kingston and from Hounslow to Cranford. Daily extended at all times from Cranford to Heathrow Central. Diverted in Hampton as above. Converted from LS single deck to M double deck operation. Converted on Sunday from M operation to Dart minibus operation. Kingston Cromwell Road Bus Station opened. Converted on Sunday from Dart minibus operation to M operation. Contract renewed with new buses. This route has had quite a few changes of fortune from being quite a boring suburban back street route to the trunk route it is today. I doubt if anybody apart from enthusiasts would ride from one end to other because there are so many alternatives from LHR ie 285 or X26. The Hammersmith section in the early fifties was odd in so much that the Richmond to Chiswick section was only worked by the 111 at weekends only - mainly to cater for the cemetery crowds at Mortlake. 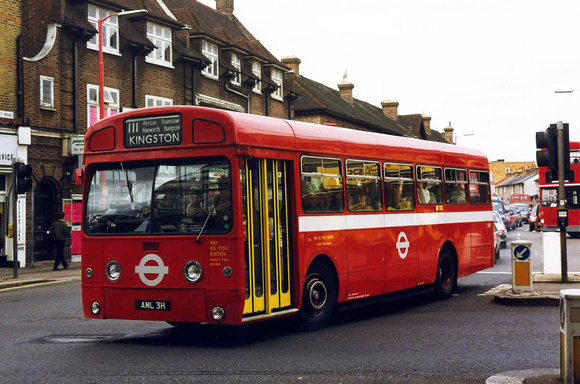 The Hounslow to Cranford section in the sixties could not make up it's mind between the 110 or 111 and in fact the crews operated a joint duty schedule which was unusual for that period when flexibility with duty rosters was rare. 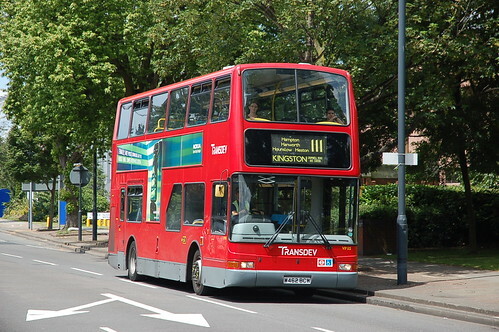 The anything goes policy of London United vehicle wise allows the enthusiast the opportunity to see most vehicles operated from AV on this route. 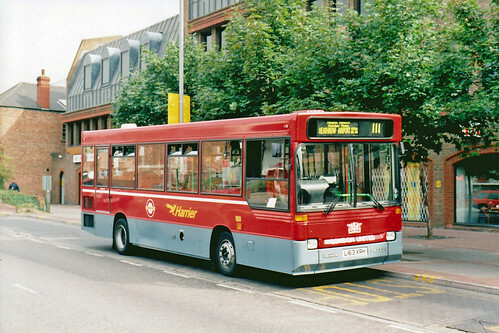 At one point an early morning journey from Kingston was a vehicle ex N65 which finished it's last run at Kingston. When new night duty schedules were introduced a few years ago - to make the drivers hours up - a few early journeys on the 111 were introduced.